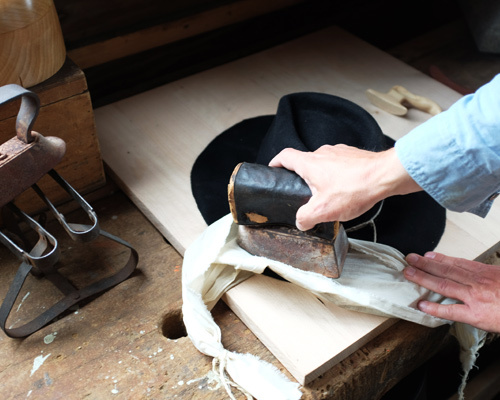 A Schechinger hat is from start to finish entirely handmade. The heat and steam are the most important elements in the production of hats. The stumps, also referred to as capeline, are constantly steamed and put on a wooden block. A hat string separates the hat crown from its brim. 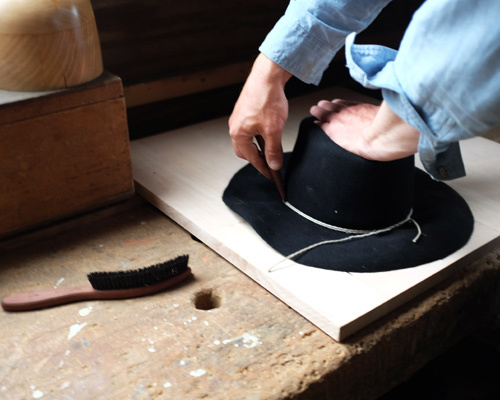 The cord is very tight and must sit perfectly to separate the hat crown from the brim. The ironing with a very heavy iron supports the shaping. 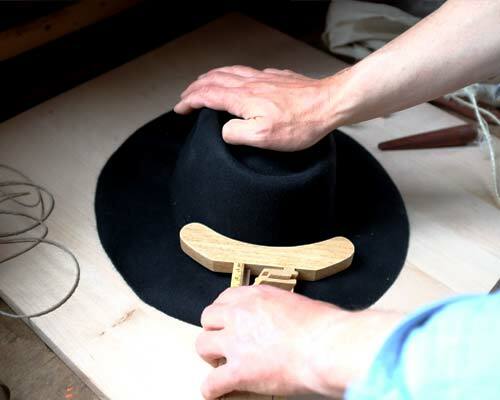 A drying process of 24 hours is required so that the hat can hold the given shape. 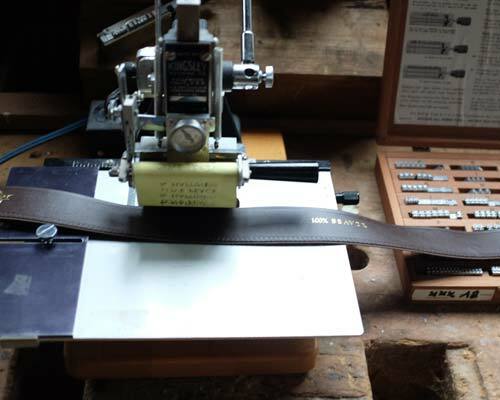 With the Rounding Jack, a special cutting tool, the brim will be cut to the desired size. 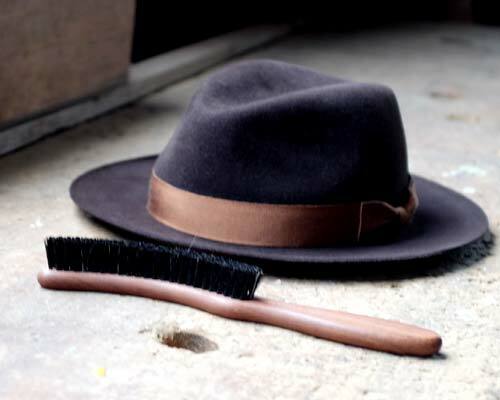 The hat is then polished to make the surface fine and soft. Various brushes, fine sponges and special abrasive paper are used for this purpose. 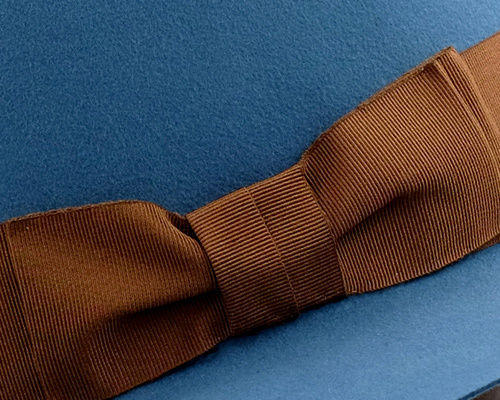 The sewing of the sweat band, the hat band, the inner lining and a small loop give the hat the finishing touch. Upon request, the leather sweat band can be customized with a gold print. A Schechinger Hat is characterized by a high crown, wide brim and fabric band in the style of the 20’s/30’s. All hats are made after consultation with the future hat wearer.